At least once a year without fail, I make a mistake that I live to regret for weeks. I’m suddenly inspired by the dangerously long talons of Rihanna and Lana del Rey and decide that I’d quite like some impractical stiletto nails of my own. The most recent episode being last summer where I was certain that ridiculously long, almond-shaped, pink lacquered tips were a great idea; and as usual the regret started to kick in before I was even out of the the nail salon. The memories of not being able to type, hold a pen properly or even put on mascara without the risk of losing an eye suddenly came cascading back. Nevertheless, the damage was done and I was stuck with them for at least a couple of weeks before I had yet another two hours to spare to get back in to the manicure chair to have them all sawn and sanded down again. Already cursed with thin, peeling nails on a good day, post-extensions, my poor fingertips would scream if they could. Months down the line and I’m still suffering the effects. In order to nurse my nails back to semi-presentable good health, I follow the following steps religiously. 1- Leave the lacquer alone. When nails look so ragged, it’s easy to cover the damage with a slick of ruby red; but the richer the colour of nail polish the more drying the effects on the nail, which will cause them to peel even more. 2- Cuticle oil is your new BFF. Keep a bottle of any nourishing nail oil handy at all times and apply as regularly as possible, massaging the fingertips as you go. 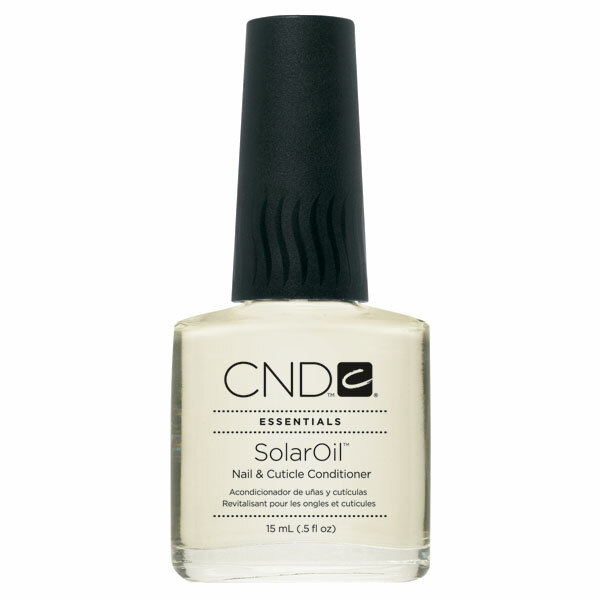 I like CND Solar Oil, it’s enriched with jojoba oil and vitamin E to hydrate and strengthen. Until you grow out the weakened nail bed, any length at the tips is likely to snag and tear. So it’s best to trim nails straight across using a nail clipper and soften the edges with an emery board. 4- Take nail strengthening supplements. The usual skin, hair and nails combos work well enough but pop an extra dose of biotin to boost thickness and prevent brittleness. Do you have any acrylic horror stories? How do you take care of your nails? Tɦankyou foоr ɦelping out, fantastic info .